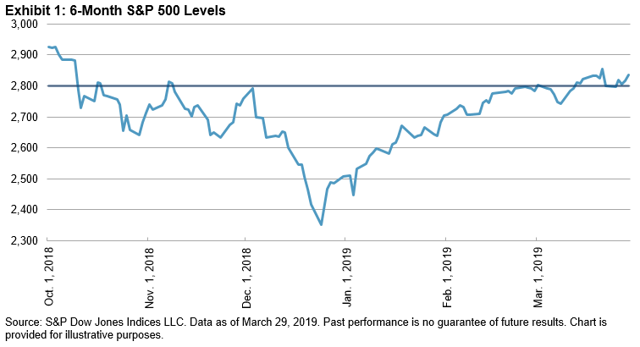 The S&P 500 finished Q1 2019 up 13.07%. This was the best first-quarter return since the 13.53% posted in Q1 1998. 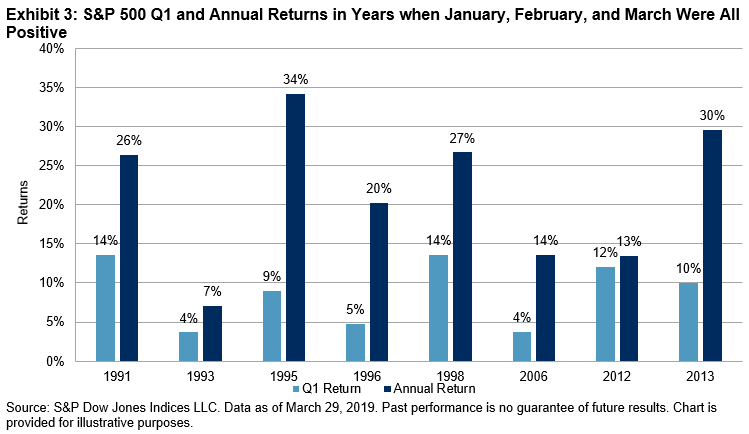 January's 7.87% return was the best start to the year since 1987 (13.18%). The S&P 500 finished Q1 2019 up 13.07%. This was the best first-quarter return since the 13.53% posted in Q1 1998. January's 7.87% return was the best start to the year since 1987 (13.18%). The hot start cooled some with the 10th-best February since 1987, at 2.97%. In March, the upward momentum slowed further, posting a 1.79% return, making it the 15th-best March since 1987. 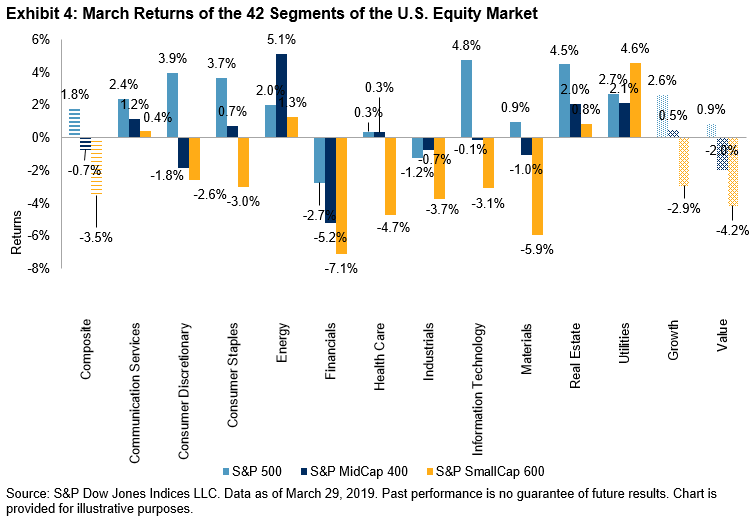 Overall, 32 of the 42 segments of the U.S. equity market had lower consecutive returns from January to February and then February to March. To begin the month, on March 1, the S&P 500 closed above 2,800 for the first time since Nov. 8, 2018. Throughout March, the S&P 500 challenged the 2,800 resistance level multiple times. It closed at 2,854.88 on March 21, which was the highest point since the index closed at 2,880.34 on Oct. 9, 2018. The S&P 500 hovered around 2,800 as the market awaited new developments in the U.S.-China trade talks and the Federal Reserve's outlook dimmed. Fears of slowing growth also factored into decelerating the upward momentum.